Italian gesso chair with carved masked detail. 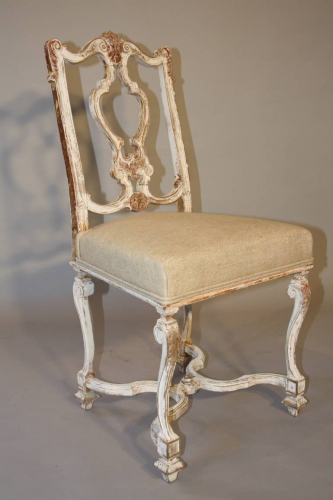 A C19th Italian gesso chair with remnants of worn red and gilt on carved wood areas. Lovely carved mask detail to the top rail. Re-upholstered in cream gold fabric.